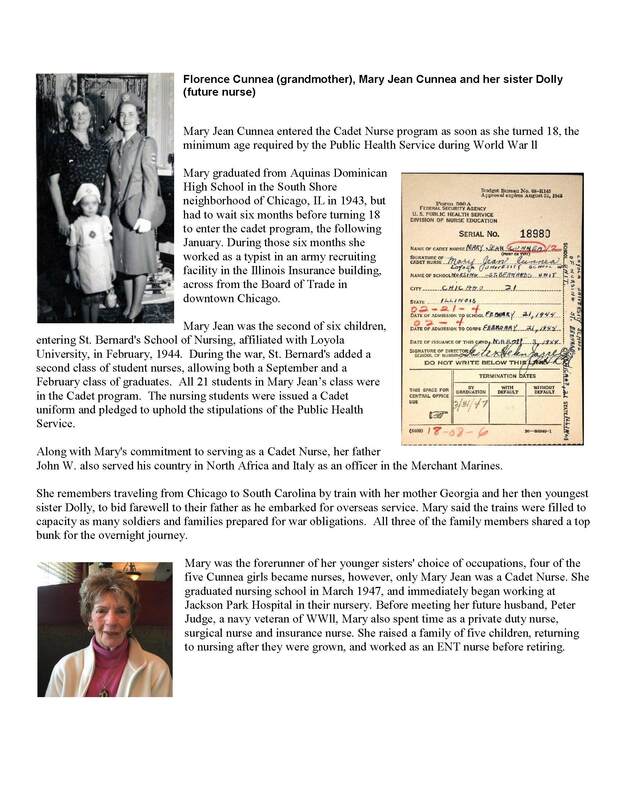 Mary was the second of six children, entering the St. Bernard's School of Nursing, affiliated with Loyola University, in February, 1944. 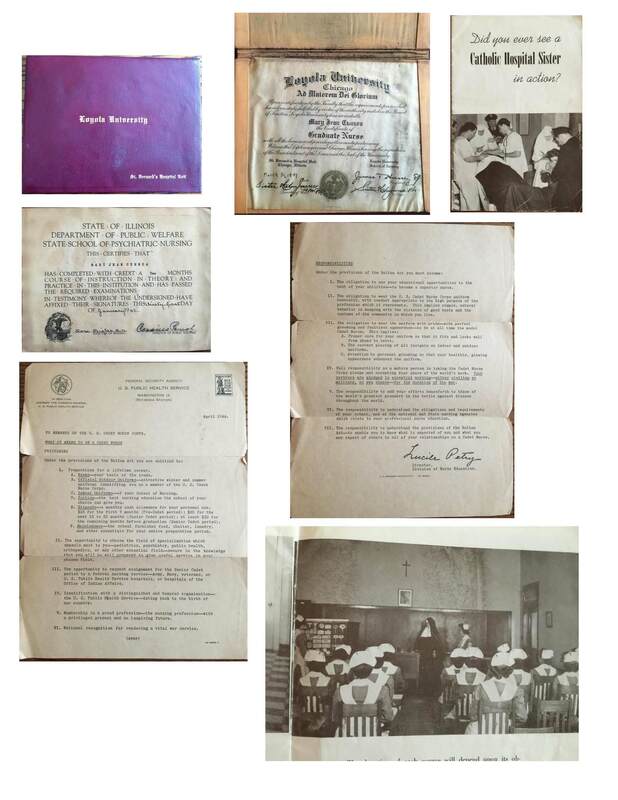 During the war, St. Bernard's added a second class of student nurses, allowing both a September and February class of graduates. All 21 students in Mary Jean's class were in the Cadet program. The nursing students were issued a Cadet uniform and pledged to uphold the stipulations of the Public Health Service. 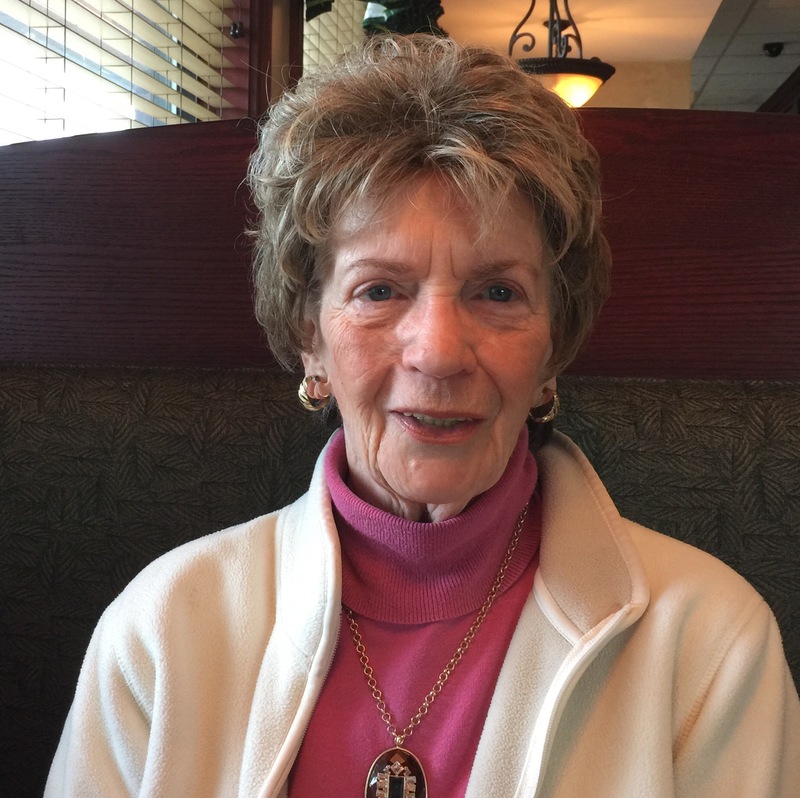 Along with Mary's commitment to serving as a Cadet Nurse, her father, John W., also served his country in North Africa and Italy as an officer in the Merchant Marine. She remembers traveling from Chicago to North Carolina by train with her mother and her then youngest sister Dolly, to bid farewell to their father as he embarked for overseas service. Mary said the trains were filled to capacity as many soldiers and families prepared for war obligations. All three of the family members shared a top bunk for the overnight journey.